Kenneth Kann is a Wealth Advisor at Beacon Pointe Wealth Advisors (BPWA) Arizona and is responsible for client service and new client development. With 28 years of experience in the financial industry, Ken has extensive knowledge of investments, insurance, tax, estate and retirement planning. 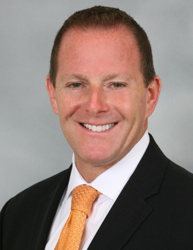 Prior to joining Beacon Pointe Wealth Advisors, Ken was a VP and Sr. Portfolio Manager with Windsor Capital Management. Before that, Ken was a National Director of Advisor Services at Financial Engines where he had the unique opportunity to work for Nobel prize winner, William Sharpe. Ken also spent 15 years at Charles Schwab as Vice President and Director in various enterprises within the firm. Ken holds a BA in Psychology from the University of South Florida, an MBA, as well as a Post Baccalaureate degree in Accounting from Arizona State W.P. Carey School of Business. In his free time, Ken enjoys working out, traveling, and spending time with family.